March 20, 2000 - Hamilton School District. Ensuring student progress was the main topic March 20 at the Hamilton School Board meeting. Instructional Services Supervisor Dee Bauman, Ph.D., reported on student intervention-support and development of an academic progress form. Bauman described an expanded intervention program that will be offered to students during summer school and the 2000-2001 school year. PASS, individualized credit make-up courses, for those in high school. Parents of students who do not meet grade level curriculum standards will be highly encouraged to have their children participate in the summer school program. Reading specialists will work with classroom teachers to identify students based on standardized test results, classroom assessments and teacher observation. Intervention and support programming for the 2000-2001 school year will include classroom, after school and small group reading support for elementary students. Templeton will offer classroom support, after school tutoring, homework completion programs and Content Mastery Lab. Students will be assigned to the lab for reteaching, concept review and work completion. The lab is dependent on the equivalent of a half-time position being approved in the budget. High school programming will include classroom support, freshman mathematics and reading-study skills courses, advisement resource centers, after school support through a program known as Fifth Block and Learning Center support including the PASS Program. The additional freshman courses are contingent on approval of the equivalency of an 83-percent position funded through the budget. “This is an ambitious agenda and we’re making progress on it,” Bauman said of the efforts to provide intervention and support to students who are not meeting standards. Development of the “Academic Progress Form” was shared with School Board members. The form, created by the Assessment Leadership Team, uses several measures to indicate student achievement including common classroom assessments, work samples and standardized test results. Its intent is to monitor individual student progress over time, according to Bauman who presented the draft document to the board. 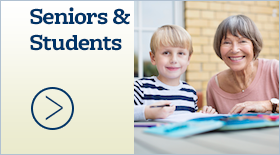 The information will be shared with students, parents and teachers in an effort to ensure continuous student progress. In addition to reading and mathematics benchmarks, writing samples, TerraNova Test results, Wisconsin Reading Comprehension Test results, Wisconsin Concepts & Knowledge Exams results and the District Writing Assessment, the form has an area for comments about interventions provided. Fall 2001 – data from form included in district’s EADS student database. The School Board agreed fund Templeton and Hamilton’s participation in the North Central Accreditation (NCA) process. 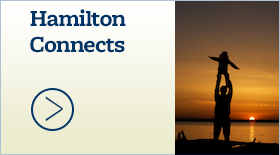 Hamilton has participated in the process since 1966 and Templeton has been involved for the past three years. Educational Services and Human Resources Director Dean Schultz said the NCA process fits nicely with site planning that occurs at each school. The process responds to the public’s need for school accountability, especially an increased focus on student learning. Data collection is an important part of the NCA process and requires development of a school profile. Also, review teams composed of staff members from other districts assess school improvement plans. 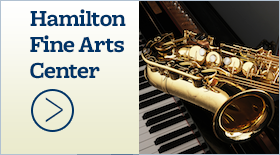 The cost for Templeton participation is $665 and Hamilton costs are $800. Requests from 11 students to participate in the Youth Option Program were approved. Students who have completed 10th grade, are in good academic standing and have no record of disciplinary problems are eligible to take technical college of university courses if their high school does not offer the courses. The cost for the 11 courses will be $6,500 plus the cost of books, but Hamilton Principal David Furrer noted that not all students who sign up for the program take advantage of it. 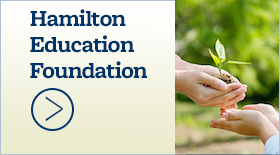 Students often prefer to play it safe by applying for the program in case an advanced level course is not available at Hamilton, but ultimately take the high school course if it is offered. The School Board voted to move the next meeting from April 4 to April 11. The original meeting date is the School Board Election.